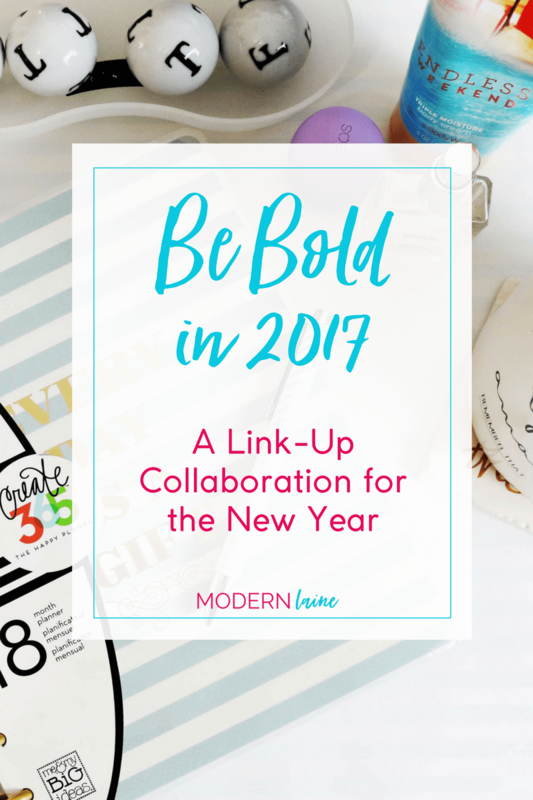 Be Bold in 2017 is a linkup for bloggers of all niches, genres and backgrounds to share their goals for the New Year and to connect with other bloggers. 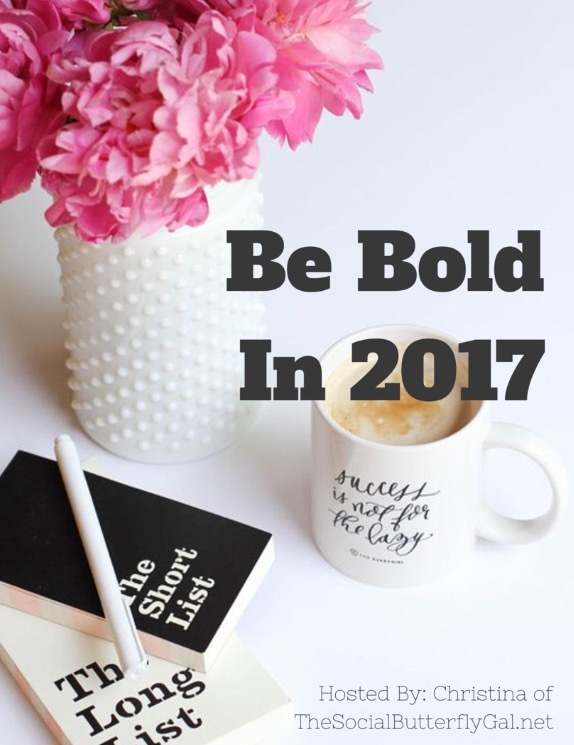 Through this, we can all grow our blogging communities and find cheerleaders and accountability partners to help us own our goals and make 2017 bright and bold. After all, blogging is more fun with friends! I’m super excited to team up with Christina of The SocialButterfly Gal. We’d love for you to join the fun! We’ll post and link up each Friday in January, starting Jan. 6th. Jan. 6: What’s your “Word of the Year”? Jan. 13: What are your blogging goals for the year? Jan. 20: What are your health goals for the year? Jan. 27: What are your personal goals for the year? If this sounds amazing to you, then feel free to grab our button and link up with us starting Jan. 6! You can follow along with #BeBold2017 on Twitter and Instagram, too! Check back on Friday to find out what word I have chosen for 2017!